The nautical and coastal-inspired design from the Turnbury Collection is popular in a variety of today's home designs. Turnbury 16" 4-light pendant features a solid wood frame surrounded with hand-painted, galvanized metal fittings. The distressed frame finish is reminiscent of driftwood that has been weathered in the sun. This pendant can be used alone or in grouping for kitchens, dining rooms, and foyers. 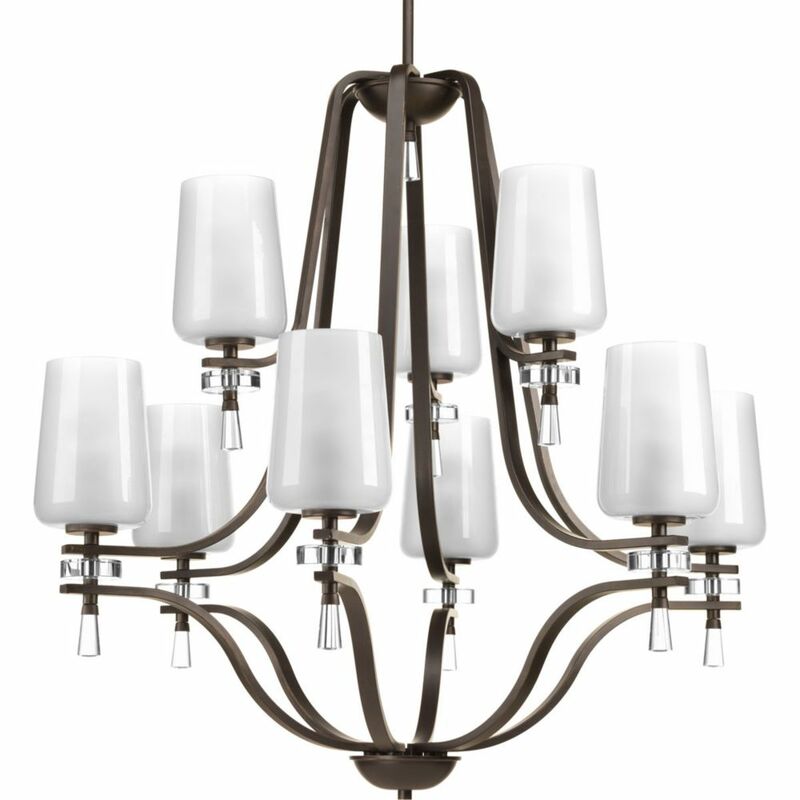 Indulge Collection 9-Light Antique Bronze Chandelier The Indulge collection provides you a decorating option to add both warmth and glamour to your home. Polished glass shades provide a gleaming surface that is softened by a uniform frosting on the glass interior for uniform, diffused illumination. Clear decorative accents add to the look while the warm, bronze-tone frame provides a distinctive silhouette.